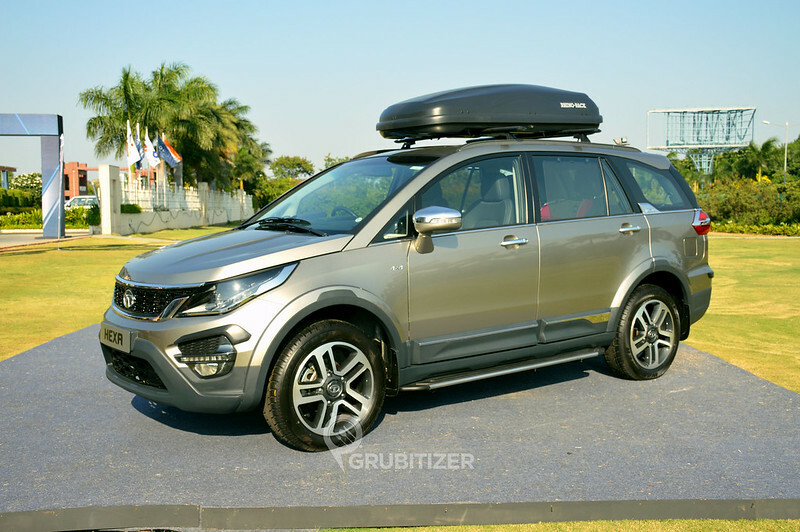 Hexa is the much awaited lifestyle passenger vehicle from the stables of Tata Motor Limited. It is a power packed, feature loaded and adrenaline pumped vehicle designed for those with an active and dynamic lifestyle. Tata Hexa packs an aggressive design theme inspired by their latest design language called Impact. 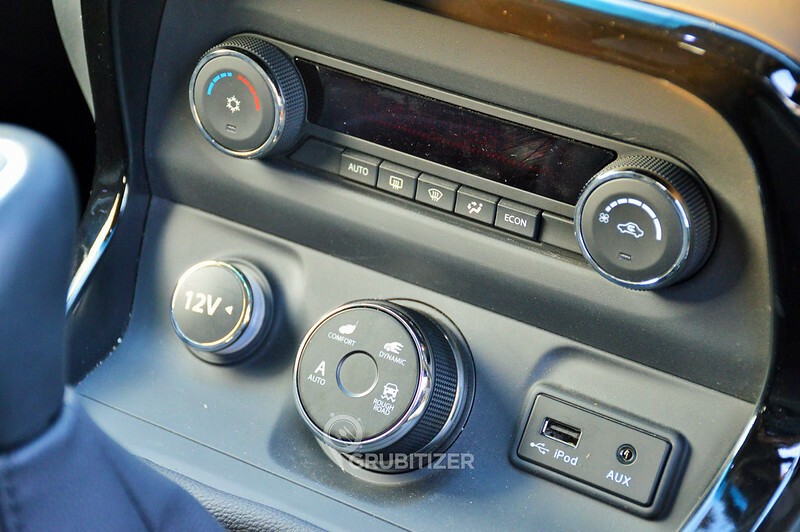 This SUV also features a new ‘Super Drive Modes’ system which will provide its customers a pleasurable, comfortable and dynamic driving experience. 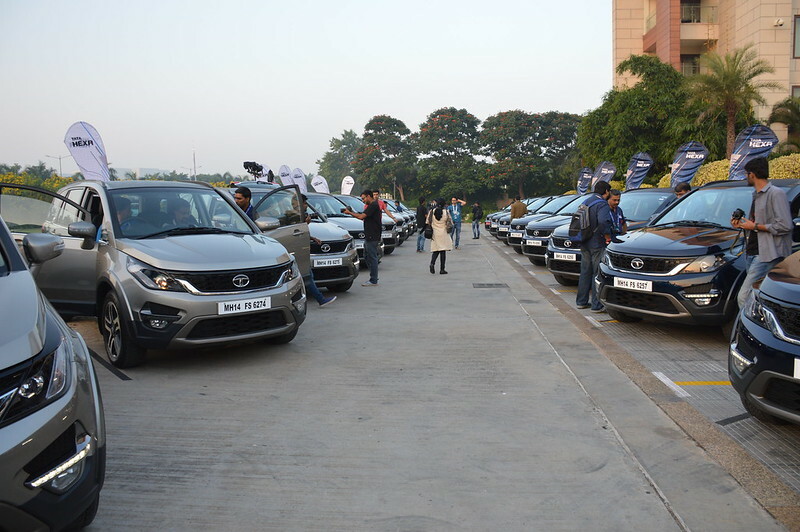 I was on cloud 9 when I actually got a confirmation call; yes I was one among the 60 bloggers from different genres who would be travelling to Hyderabad to get a first-hand experience of Tata Hexa! It was my first IndiMeet and I was looking forward to interact with some of the coolest bloggers from across the country. DAY – 1 : We were a group of 12 bloggers travelling from Bangalore. Our first rendezvous was done at the airport and we all connected well, after a round of customary selfies we began our journey to Hyderabad, the city of Nizams. 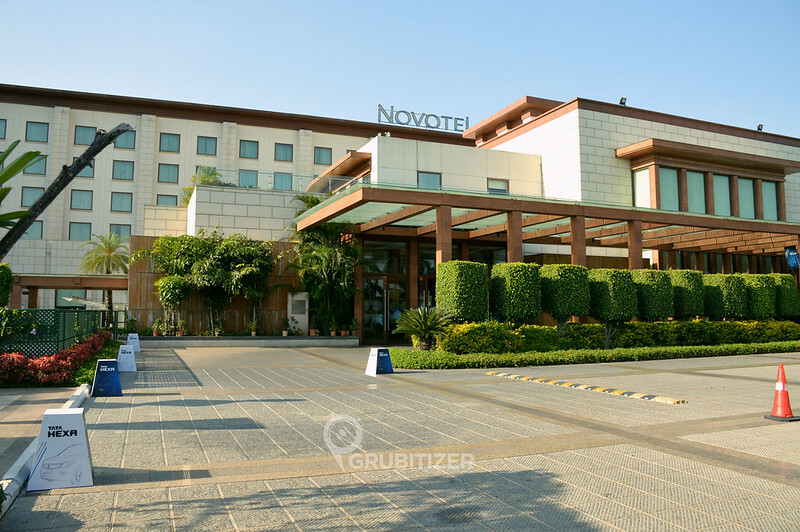 After a comfortable flight we reached Novotel, Hyderabad which is super close to the Airport. The initial registration was followed by a small photo shoot, post which we went to The Square for lunch which is a global buffet restaurant with an interesting mix of live counter cooking. We then had to proceed to attend the Hexa product presentation in the evening. 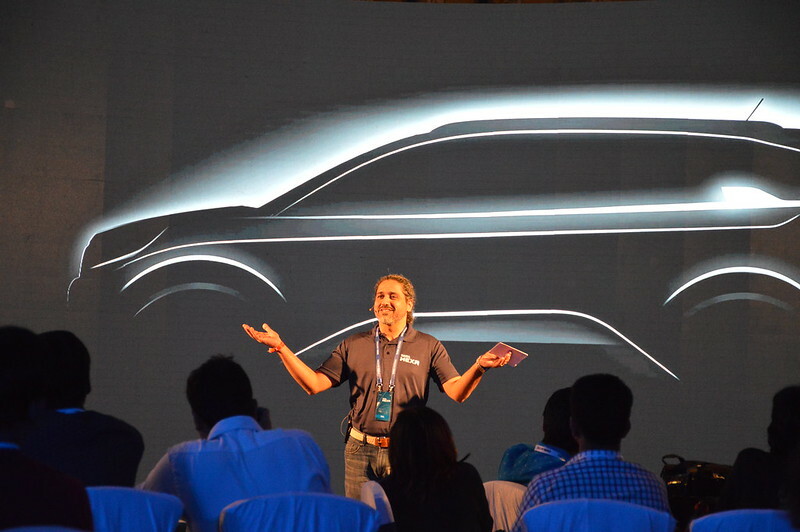 Certain important aspects of Indian car scenes were put forward by Ashish Sahni, Head of Digital Marketing for Tata. Most of which showed that the car buyers are shifting focus from sedans to SUVs. Commanding driving position, more space needs and unsafe driving conditions on our highways make SUVs a better choice overall. Tata Hexa in short can be described as – Power Packed drive in a Feature Loaded machine for an Adrenaline Pumped experience. Richard Winsor, Chief Designer Exteriors then stepped in to highlight the various elements that went into making of Hexa. 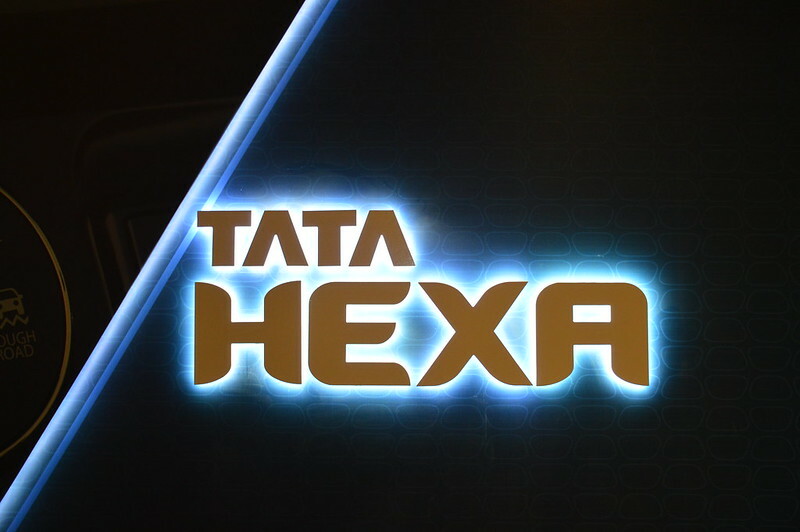 After a brief introduction on Impact Design – Tata Motor’s new design language for its passenger cars we were told about the journey of building the Hexa from scratch to what we are seeing it now in its full glory, all in just a couple of years. 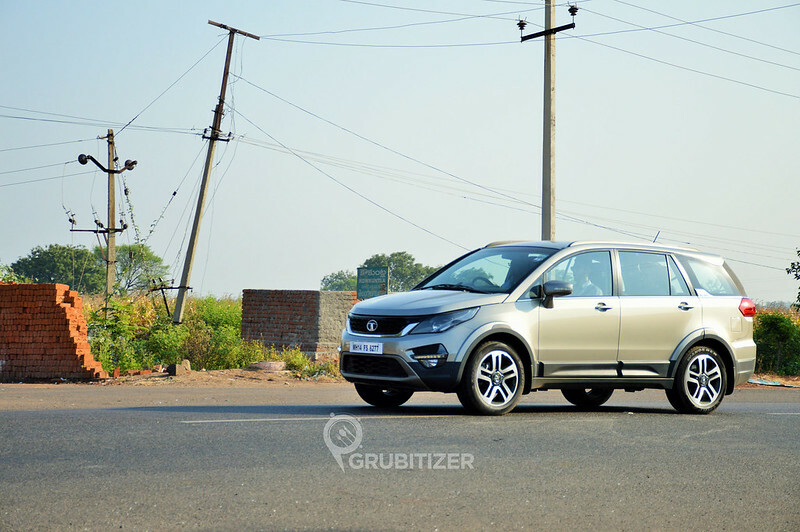 So what makes Tata Hexa power packed? It has a host of advanced features like Electronically Controlled Adaptive All Wheel Drive system, advanced next gen Varicor 400 Diesel Engine, first in segment 4 super drive modes which can be toggled between Auto/Comfort/Dynamic/Rough. Feature wise this car is going to keep you and your family busy as it is filled to the brim with lots of gadgetry being thrown around. 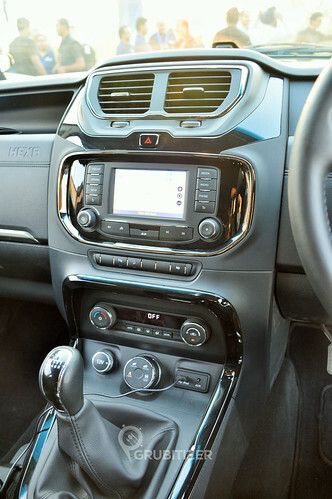 Tata Hexa comes with Smartphone ConnectNext App Suite, Reverse parking system with camera, cruise control, Hill hold Control (HHC) and Hill Descent Control (HDC), ABS with EBD, six airbags, automatic climate control, rain sensing wipers and automatic headlamps. There are loads of exciting elements associated with Hexa like the 10 speaker JBL system, Ambient Mood Lighting, 19 inch alloys and a stylish wrap around horizontal tail light, all of which combine to give you an adrenaline rush the moment you see Tata Hexa. The most interesting part of the conference was when we were told that each car will be driven by a team of 3 members over a long stretch of over 170 kms. The route included airport road, outer ring road, a four lane divided highway and the scenic two lane undivided road. It was easily the perfect route to test the driveability of this beast on every occasion. Next highlight of the evening was a laughter filled session by Biswa Kalyan Rath who as usual took everyone’s case in the most hilarious manner. Day – 2 : I somehow missed the wakeup call but did manage to get myself ready by 6:15 AM! After a round of photo shoot with IB and Tata folks we flagged off the drive. *EXCITEMENT BEGINS* Our first Hexa was equipped with a manual transmission (4×4) and the best part about the drive was when we were experimenting with the ‘Super Drive Modes’, an advanced system which continuously monitors the vehicle across different terrains and provides instant feedback and timely alerts to the driver. 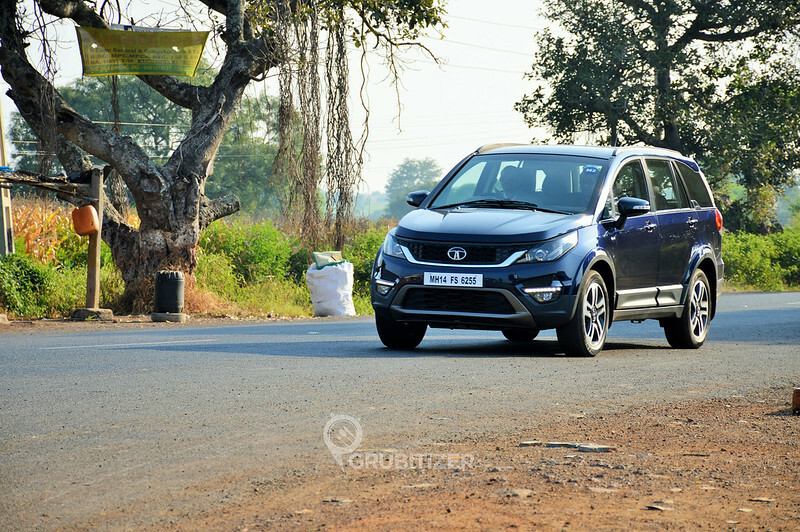 Here is what we observed about each mode: Auto Mode – In this mode, Tata Hexa’s performance is optimized to adapt itself automatically to all surface conditions. Focus is more on stability and traction as this helps the car to remain well balanced in terms of power and safety. Comfort Mode – In this mode the engine power output provides Tata Hexa with a comfortable drive. The car delivers precise power which allows you to cruise constantly at highway speeds without the loss of ride comfort. Dynamic Mode – Here the Tata Hexa achieves maximum power and acceleration and performs well during extreme handling manoeuvres. In this mode the ESP kicks in later but just about the right time to ensure safety. Rough Mode – This will probably be the most sought after mode for all the off roading enthusiasts. It allows the driver to explore challenging off road driving conditions. Braking performance is also tuned to support rough road surfaces. 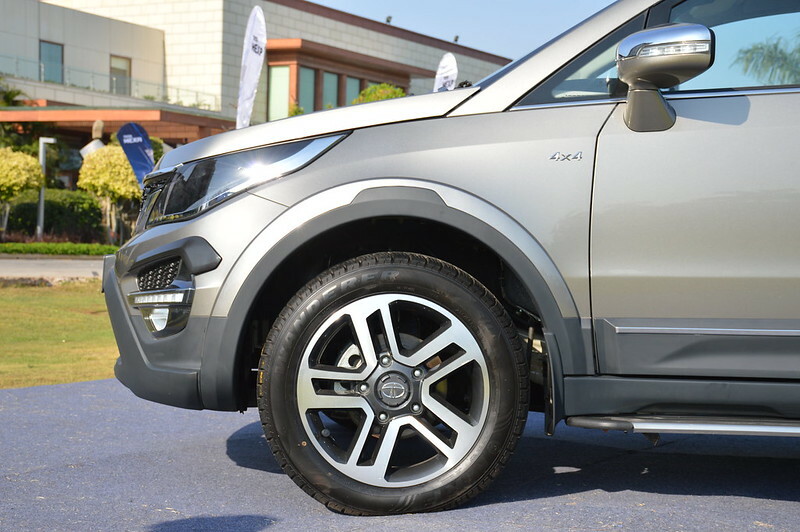 Driving the Hexa in Rough mode not only optimises ride stability, but also enhances the vehicle’s dynamic performance. 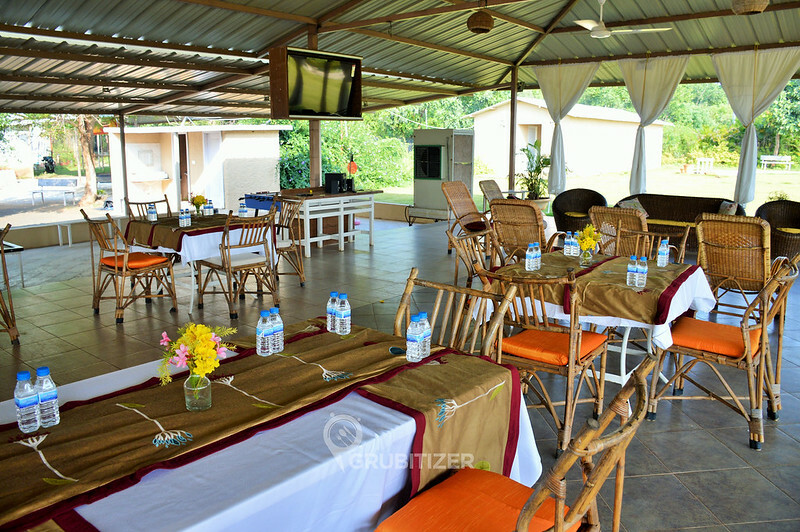 We then reached our pit stop, the Hills and Valley Adventure Resort which also happened to be the spot for a quick snack and exchange of cars. I was given charge here to start our return journey and it was time to experience the automatic version of New Tata Hexa. The car responds so well to the acceleration provided that driving it is a breeze. 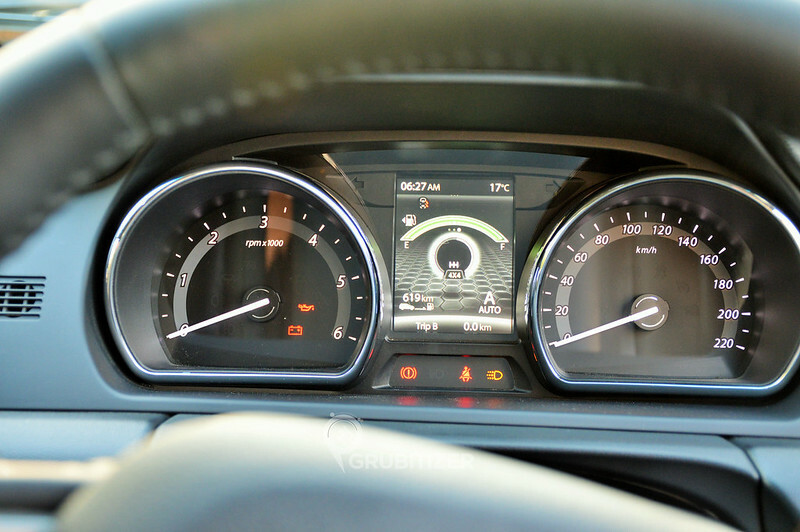 The automatic system here makes use of Tiptronic method to shift gears. Floor the pedal and the car moves forward like a massive bullet, a perfect setup suitable for that quick overtaking manoeuvre. All my life I have never been a fan of AT cars but the auto transmission in Hexa has managed to change my views! 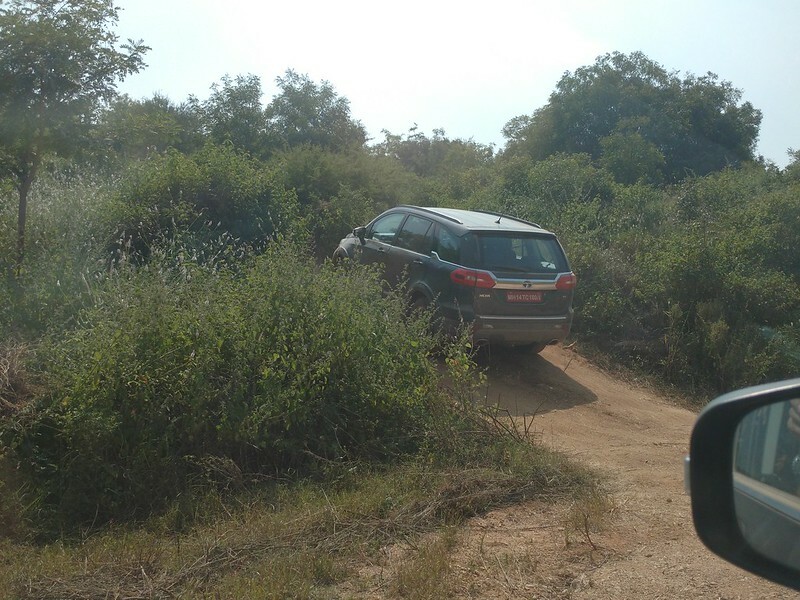 OFF ROAD EXPERIENCE : Our drive to Anantgiri foothills was filled with excitement and our group felt that Hexa is one capable highway muncher. The blue beast (manual transmission version) did add a lot of feel good factor thanks to the different drive mode which takes inspiration from its international counterpart JLR. After a small break we then stepped on to another Hexa driven by a soft spoken gentleman from Cougar Motorsports, a renowned name in the Indian off-roading scene. The car was covered with a lot of dirt and I kinda liked it this way 😛 The Off Road a capability of the car is worth a standing ovation. Hexa pulled off almost every obstacle in the most fashionable manner. It performed exceptionally well, be it travelling over massive ditches or wading itself in a foot deep trench of water! 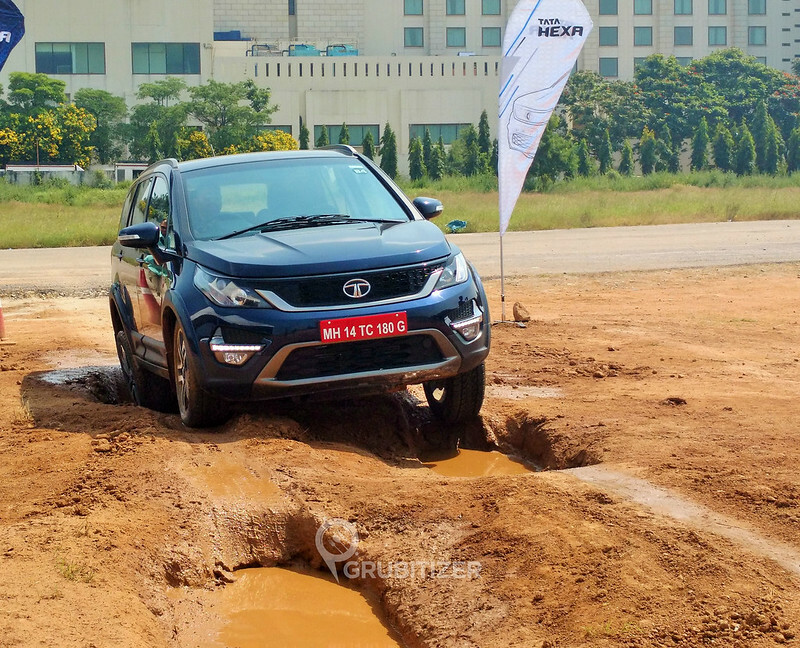 Here are some pictures that show the various off road capabilities of the New Tata Hexa. 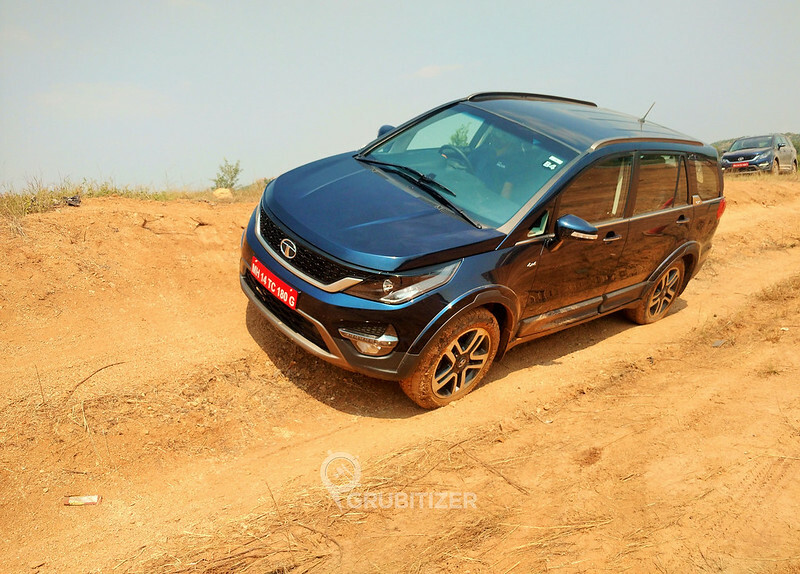 After two days of hovering around the all new Tata Hexa, I can safely say that the car is based on a new versatile platform which is a complete vehicle package with an exceptional combination of design, luxury, off road and on road capabilities. The plush interiors and modern architecture along with class leading features targets customers who embrace active lifestyle. The Tata Hexa is also equipped with first in segment race car mapping that provides a revving experience similar to performance cars. The in house Super Drive Modes system is another first in segment that allows the driver to seamlessly switch between the four different driving modes. 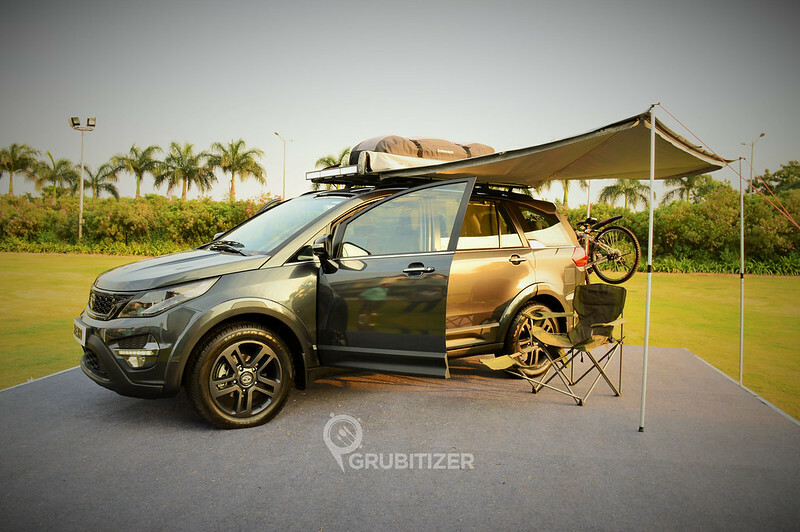 You all must be wondering what Tata Hexa is doing in a Grubitizer.com! Well the answer to this was given by the folks of Tata who characterized this beast as a lifestyle car that will appeal to a wide diversity of people. Hence, there were fashion, food, lifestyle and travel bloggers who too were part of this preview event and Hexa as a product can connect with the mind set of our followers. There is a strong connect with what we do with our blogs and what the Hexa means to the people who’re going to buy it.